Long term athlete development has been discussed for years, but the concept is still incredibly confusing for practitioners. Part of the reason for this confusion is that the models are missing details and coordination of efforts between coaches, trainers and parents. At the 2018 IYCA Summit, Jim Kielbaso offered a new way of thinking about athlete development and offered a solution for how we move forward. He spoke about where we’ve been, what has been done and outlined a model that will add to the already existing LTAD models. While most of the theoretical models have great thoughts and rationale behind them, we still find that professionals hide inside their own “silos” without coordinating their efforts with the other important parties involved. If a S & C Coach can’t coordinate with the sport coach, the athlete is ultimately going to suffer and results will not be optimal. Youth sports has become a business that is often more about the adults involved than the kids. Because of this, early specialization gets shoved down everyone’s throats, and complete athlete development is ignored. Numerous articles, books and videos have been produced describing the problems associated with the current sports industry. But, instead of making changes, we seem to be stuck in a rut of complaining. We also know that most athletes don’t start a formal performance training program until they have already shown some athletic promise or strong interest in improving. Instead of waiting, what can we do as a profession to help enhance the opportunities and experiences of all young athletes? The video above is meant to get coaches to think about how we can begin working together to create exceptional experiences for athletes and help them reach their true potential. Most coaches have great intentions but get stuck in their own silo because there is so much to be done in their area of expertise. It’s time to make a change. Watch the video and leave your comments below on how we can make this happen. 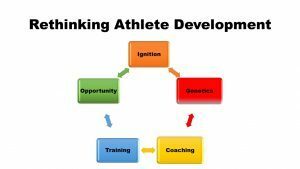 The old “windows of opportunity” Long Term Athlete Development model doesn’t explain what to actually do at each stage of development. Learn the truth about long term athlete development and how to approach athletes at every level in the IYCA’s LTAD Roadmap. 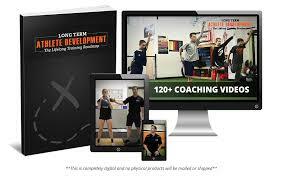 This is the most comprehensive approach to long term athlete development available. Click on the image below to learn more.